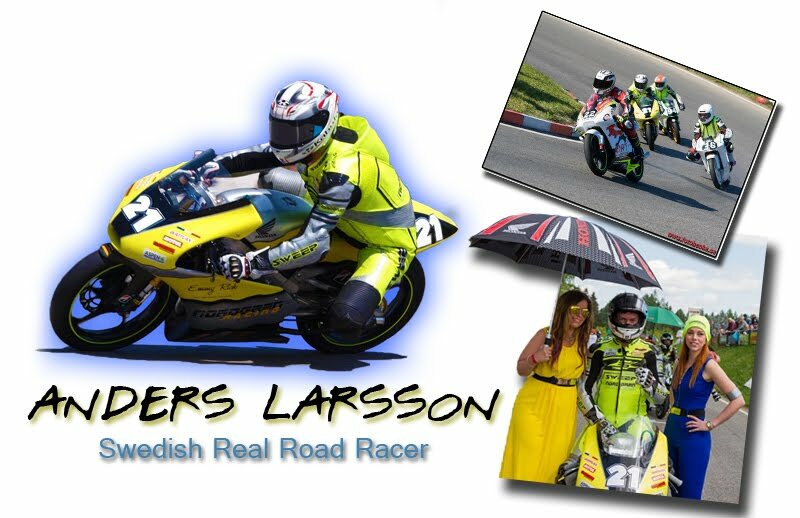 Anders Larsson - Swedish Real Road Racing rider: Historic weekend! 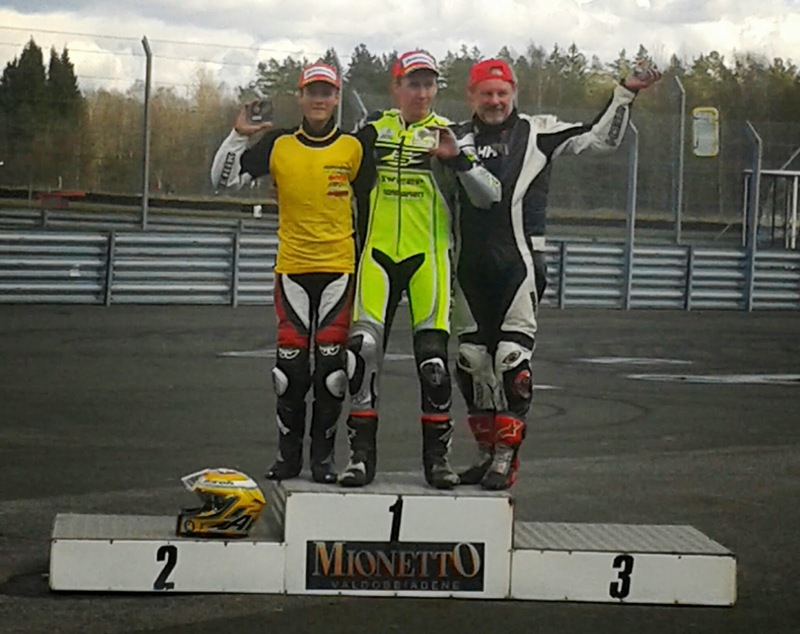 First weekend in may was the first race of the year for the Swedish Championship. As our team was entering 7 riders to this event and that all of the riders was on new machines I decided to be there and help the team instead of going and race my self in the first race in the Czech republic. 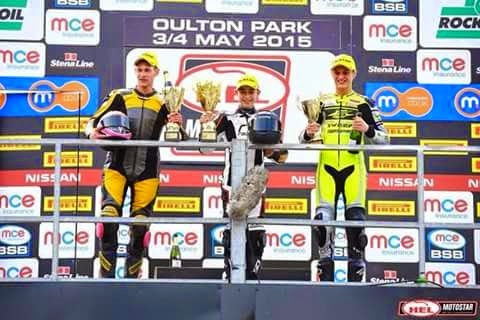 A choise that made me see the first ever all podium for the team in the Moto3 class with William, Lukas and Stefan steping up on the podium. 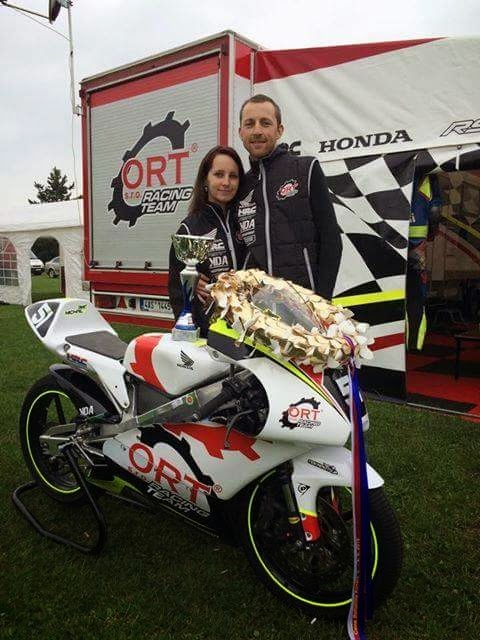 And to top this Alex that been in our team and was Swedish Champion for the team 2013 did also take his first podium position in the Brittish Championship and Michal that are a czech rider that race with a bike from our team and do have some support from us did also win at the race Stare Mesto! So really a historic weekend!